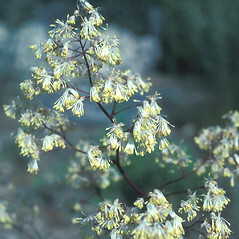 Thalictrum dasycarpum Fisch. & Avé-Lall. 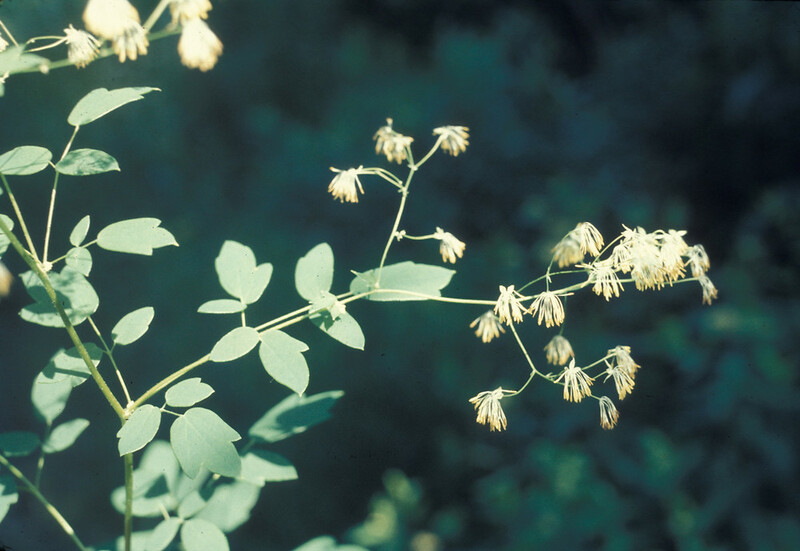 Purple meadow-rue is native to central North America and introduced in New England, where it has been collected only in Connecticut. 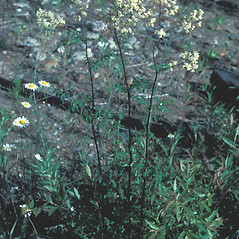 filaments somewhat to prominently dilated distally and anthers mostly 0.5–1.5 mm long, without an apiculus at the apex or a poorly developed one (vs. T. dasycarpum, with filaments +/- slender throughout and anthers mostly 1–3.6, usually with a prominent apiculus at the apex). 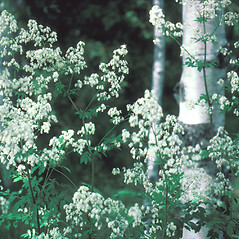 purple meadow-rue. 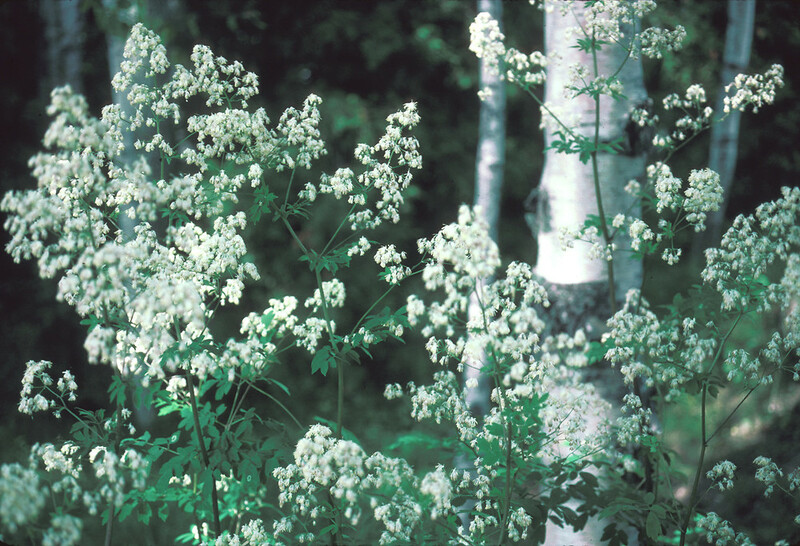 Thalictrum dasycarpum Fisch. & Avé-Lall. var. 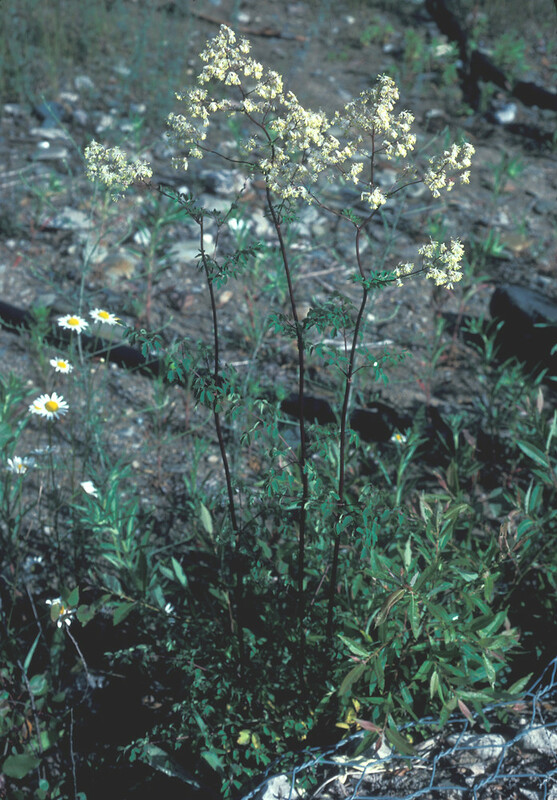 hypoglaucum (Rydb.) 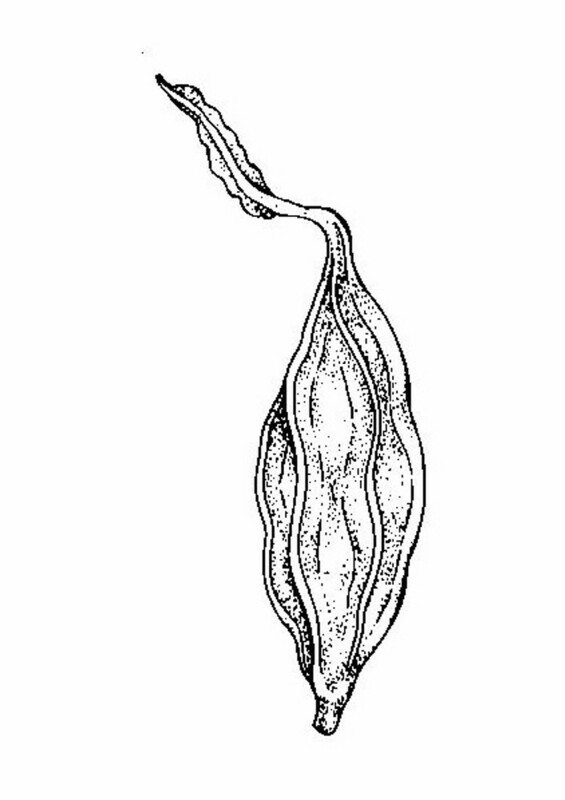 Boivin; T. hypoglaucum Rydb. • CT. Roadsides, forest fragments. 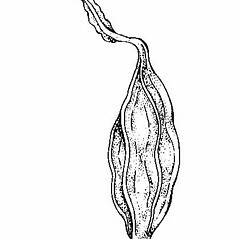 This species is noted to rarely possess stipitate-glands on petioles, leaf rachises, peduncles, and/or pedicels and rarely possess sessile glands on abaxial leaf surfaces. 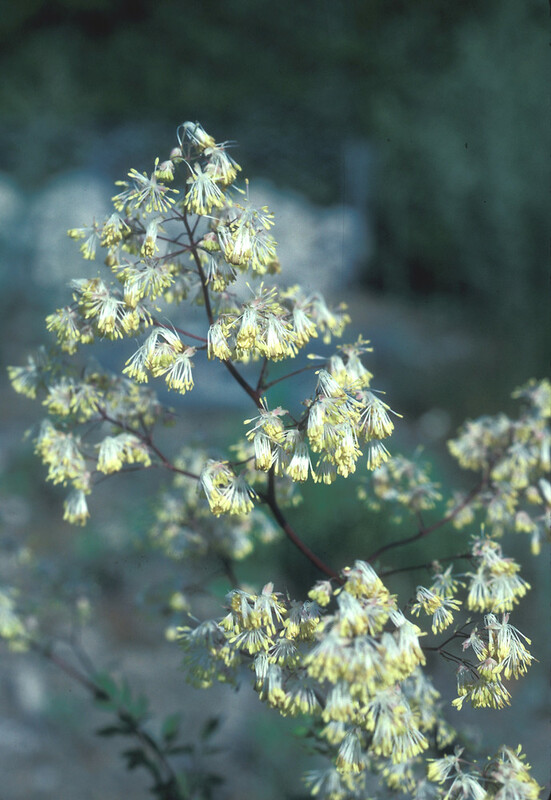 Such specimens would cause confusion with Thalictrum revolutum. In addition to characters used in the identification key, these two species differ in mean achene body and achene stipe measurements. 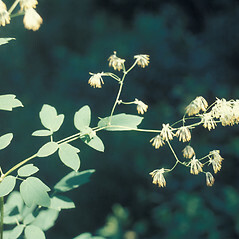 Thalictrum dasycarpum has achene bodies 2–4.6 mm long and achene stipes 0–1.1 mm long vs. 3.5–5 mm and 0.2–1.7 mm in T. revolutum, respectively.